Add an additional security layer to support requests received via phone and chat. Do you offer support via phone or chat? Or do you regularly get requests to change sensitive data on accounts? Then you need an extra layer of security around your customer support accounts so that you can be sure that the person your agent is speaking with is an authorized user of the account. 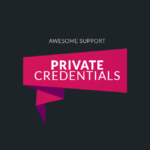 The Awesome Support PINS add-on implements that extra layer of security whenever your agents receive a phone call, chat request or other help request from a customer. It generates a unique ID for each customer that can be accessed from the customer’s MY TICKETS page. Whenever a support agent receives a phone call or chat request they can ask the user to provide the PIN that is shown in the users’ MY TICKETS dashboard. 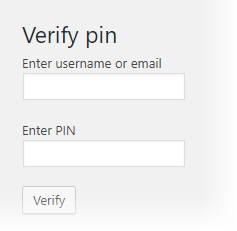 The agent can then enter that PIN into a verification screen to confirm its authenticity. The idea behind this kind of security is that only an authorized user will have access to the MY TICKETS dashboard. It is another layer of defense in preventing phishing and social engineering attacks against your agents and customers. If you receive support requests via phone or chat then you really need to install this add-on in order to protect the security of your users accounts. If a bad actor calls into your support center and tries to get your agent to take actions on one of your users accounts they will be stymied because they do not have the correct PIN. 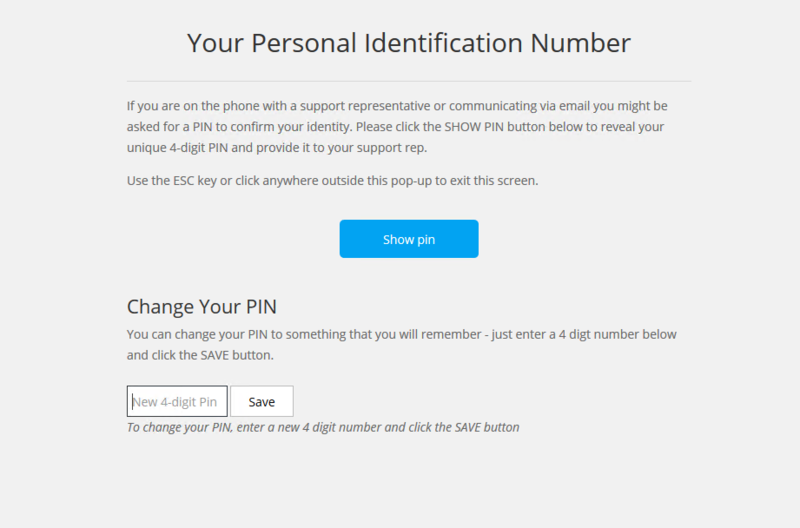 Users have the option to reset their PIN at any time so even if someone is eavesdropping on the call or chat conversation, they will not know the PIN required when asked for it again. In the event that one or more PINS are somehow compromised administrators can create or reset PINS for all users. The admin can quickly invalidate all PINS by changing the encryption phrase. They can then create new PINS using the new encryption phrase. When the Awesome Support PINS add-on is activated, the admin immediately gets an option to create new PINS for all users. There is no such thing as too much security. Every little bit helps. 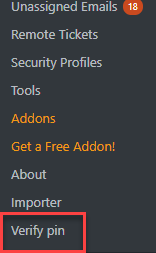 So pick up this add-on today and get started with adding additional security layers to your users accounts. This add-on is a NICHE product created for a very specific industry or service provider. It is NOT AVAILABLE as part of the AGENCY BUNDLE. It is only available as an individual add-on purchase. Minor redesign of the front-end lightbox to make it more aesthetically pleasing.